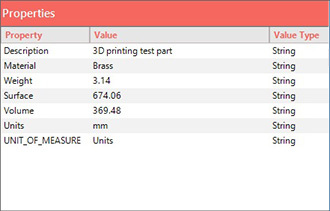 Explore 3D is a free viewer that allows users to view 3D CAD data right inside Windows Explorer, without requiring a license of any CAD system. 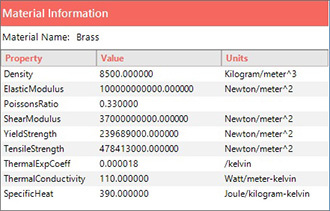 It also displays information about the model meta data like CAD system version, color, units, part #, stock #, approval dates, material properties and assembly tree. What platform is Explore 3D supported on? Explore 3D is supported on Windows 7/8/8.1/10 64-bit. It is not supported on Mac platform. How do I report an error message? Email the error message to support@cadcam-e.com. We will never rent, sell or share your personal information with third parties without your permission. Information submitted to us for downloading/usage purposes is only available to CCE employees managing this service. If you've received an unsolicited or unwanted email sent via this system, please forward the email with your comments to support@cadcam-e.com for review. Is Explore 3D CAD independent? Yes. Explore 3D is CAD independent and does not require a license of any CAD system to operate. Can you view 2D data in Explore 3D? No. Explore 3D only supports 3D data. What information about the model can you access in Explore 3D? EnSuite-View is a free viewer that allows users to view all major CAD formats, as well as neutral formats, without requiring a license of any CAD system. What platform(s) are EnSuite-View products supported on? EnSuite-View products are supported on Windows 7 & 8 (32 and 64 bit). Products are not supported on Mac platform. How do I contact sales for product upgrade? Please email sales at sales@cadcam-e.com for a product upgrade quote. Yes. EnSuite-View is CAD independent and does not require a license of any CAD system to operate. Can you view 2D data in EnSuite-View? No. EnSuite-View only supports 3D data. How do you license your products? How do I find the product cost? Please email sales at sales@cadcam-e.com for a product quote. What is the password for downloading software? Passwords are only provided to users on active subscriptions. To download free versions of our software please visit CCE Labs page. Does EnSuite support all CAD formats? Cat4 : Read & Write Modules for reading & writing CATIA V4 files. Cat5: : Read & Write Modules for reading & writing CATIA V5 files. Cat6 : Read Module for reading 3dxml files. NX : Read & Write Modules for reading & writing NX files. SW : Read & Write Modules for reading & writing SOLIDWORKS files. SE : Read Module for reading Solid Edge files. Inv : Read Module for reading Autodesk Inventor files. PS : Read & Write Modules for reading & writing Parasolid files. IGES : Read & Write Modules for reading & writing IGES files. STEP : Read & Write Modules for reading & writing STEP files. 3D PDF : Write Module for writing 3D PDF files. VDA : Read Module for reading VDA files. STL : Read Module for reading STL files. ACIS : Read Module for reading ACIS files. Will EnSuite translate CAD data with a fully editable history tree? 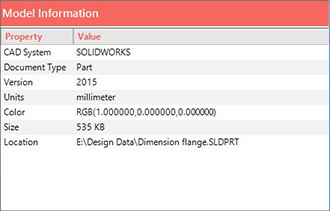 Do you have a product to translate NX/Unigraphics prt files to SOLIDWORKS? Yes. EnSuite will translate Unigraphics files to SOLIDWORKS. Do you have a product to translate CATIA V4 files to JT XT BREP 9.5? Yes. EnSuite will translate CATIA files to JT. Do you have a translator to convert SOLIDWORKS files to Parasolid? Yes. EnSuite will translate SOLIDWORKS files to Parasolid. Does EnSuite-Lite support all CAD formats? Cat4 : Read CATIA V4 files. Cat5 : Read CATIA V5 files. Cat6 : Read 3dxml files. NX : Read NX files. SW : Read SOLIDWORKS files. SE : Read Edge files. Inv : Read Autodesk Inventor files. PS : Read & Write Parasolid files. IGES : Read & Write IGES files. STEP : Read & Write STEP files. Pro : Read Pro/ENGINEER files. 3D PDF : Write 3D PDF files. VDA : Read VDA files. STL : Read STL files. Rhino : Read Rhino files. JT : Read JT files. ACIS : Read ACIS files. DWF : Read DWF files. SketchUp : Read SketchUp files. Yes. EnSuite-Lite is CAD independent and does not require a license of any CAD system to operate. Can you translate 2D data with EnSuite-Lite? No. EnSuite-Lite only supports 3D data. Will EnSuite-Lite translate CATIA files to STEP or IGES format?